From Gitmo to stem cells, Obama is quickly reversing his predecessor's policies. In his first 100 days in office, President Obama has demonstrated a clear departure from his predecessor. From relaxing marijuana enforcement laws to releasing torture memos, the new administration has moved rapidly to revoke and alter policies that marked the legacy of the Bush team. Obama "is pleased with his actions thus far, understanding that the American people are certainly not going to grade his administration or our efforts... just by the actions of the first 95 days," White House Press Secretary Robert Gibbs said. Even before he entered the White House, the 44th president advised his transition team to draft an executive order to close down the detainee center at Guantanamo Bay. 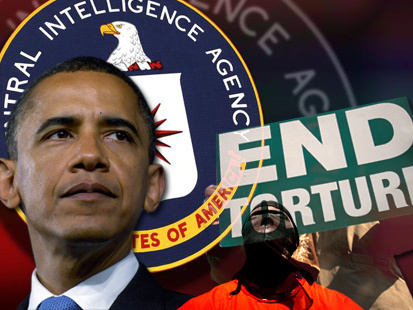 The latest in the series of moves has been the release of the so-called "torture memos" detailing the authorization and legalization of harsh interrogation techniques by Bush-era officials. The Obama team has also taken a visibly different approach to energy and environmental policy. The swift-moving president says he is trying to fulfill his campaign promises and supporters applaud his efforts. Critics say he could be putting too much on his already-full plate. Signaling a drastic shift in the Bush administration's policies on drugs, Obama's appointed Attorney General, Eric Holder, said federal agents will relax their enforcement of marijuana laws and go after only those distributors who violate both state and federal law. California is one of 13 states that have either legalized or decriminalized the use of medical marijuana and permits its sale for medical purposes. However, it still violates federal law and under the previous administration, authorities targeted medical marijuana sellers under federal laws even if they complied with state laws. As a presidential candidate, Obama vowed to bring change in policies related to medical marijuana use. Advocacy groups applauded the change but raised their concerns about more than two dozen California cases that are hanging in a limbo in federal court. The move comes at a time when the Obama administration is taking a tougher stance on the problem of drug and weapons trade along the U.S.-Mexico border. Other states that permit marijuana for medical purposes are Alaska, California, Colorado, Hawaii, Maine, Michigan, Montana, Nevada, New Mexico, Oregon, Rhode Island, Vermont and Washington. On March 18, the Obama administration formally endorsed a United Nations statement urging world leaders to decriminalize homosexuality, a declaration that less than three months ago Bush refused to sign. "The United States supports the U.N. Statement on 'Human Rights, Sexual Orientation, and Gender Identity,' and is pleased to join the other 66 U.N. member states who have declared their support of this Statement that condemns human rights violations based on sexual orientation and gender identity wherever they occur," the State Department said in a statement. "We join with the other supporters of this Statement and we will continue to remind countries of the importance of respecting the human rights of all people in all appropriate international fora." In December 2008, 66 of the U.N.'s 192 member countries signed the declaration, with the United States being the only Western nation not to do so, a move that drew fierce criticism from gay rights and civil liberties groups. 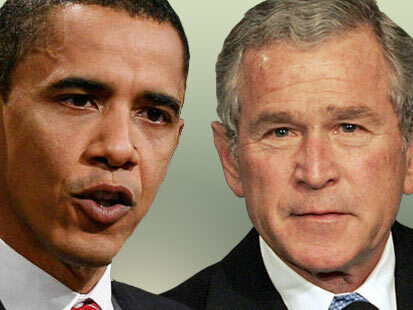 The Bush administration defended the move by claiming the declaration needed further review. The Obama administration has a different legal interpretation. The State Department said that the endorsement "commits us to no legal obligations." More changes to Bush's rules on homosexuality are likely to come in the next four years. Obama promised in his campaign to overturn the "Don't Ask, Don't Tell" policy that stemmed from the 1993 law that forbade homosexuals from serving in the U.S. military. In his latest rollback of Bush administration policies, President Obama signed an executive order Monday lifting the 7½-year ban on federal funding for embryonic stem cell research and a memorandum covering all scientific research. In a less-than-subtle criticism of Bush's ban, Obama said, "In recent years, when it comes to stem cell research, rather than furthering discovery, our government has forced what I believe is a false choice between sound science and moral values. In this case, I believe the two are not inconsistent," the president added before signing the order. 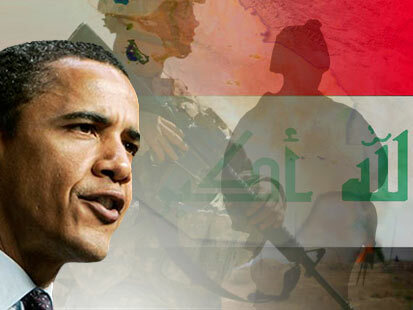 Obama said throughout his presidential campaign that he would overturn the ban if elected. President Bush banned federal funding for such research in August 2001, citing "moral concerns raised by the new frontier of human embryonic stem cell research. Even the most noble ends don't justify the means." Nearly six in ten Americans support loosening restrictions on federal funding of stem cell research. Proponents of stem cell research say Obama's order is a promising sign that progress can be made after a more-than-eight-year stalemate, while others say it is only a tiny step. Anti-abortion groups say the research is unethical and unreliable. The debate on whether U.S. government should fund international family planning groups that provide abortions or related services has been brewing for decades. The "Mexico City Policy" that was signed into law by Ronald Reagan in 1984 was overturned by Bill Clinton in 1993 and restored by Bush in 2001. So, it was only a matter of time before the next Democratic president also rescinded his predecessor's rule. Obama overturned the policy on Jan. 23, just days after he took the oath of office. "For the past eight years, [the restrictions] have undermined efforts to promote safe and effective voluntary family planning in developing countries," Obama said in a statement. Some international family planning groups hailed the decision, saying that Bush's ban discriminated against the world's poor by denying U.S. aid to groups that may be involved in abortion, but also work on other aspects of reproductive health care and HIV/AIDS. 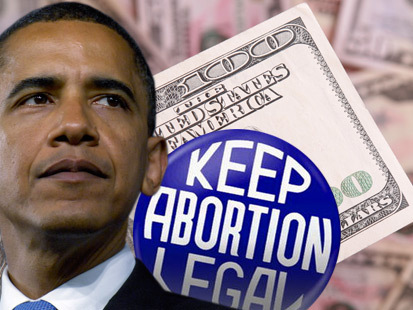 Obama's move was also met by criticism by Republicans and anti-abortion groups. Breaking with Bush on health care, Obama wants to give more power back to the patients on whether health care providers should provide controversial services. The administration revoked the Bush-era "Provider Conscience" rule that created more regulations to prevent those who refuse to hire doctors and nurses opposed to abortion rights from receiving federal funds. The move was applauded by abortion rights advocacy groups, who say the limits restricted patients' rights. In April, the Department of Justice (DOJ) released legal memos detailing the authorization and legalization of harsh interrogation techniques, such as waterboarding, on detainees under U.S. custody. The documents show that Jay Bybee, a top former DOJ lawyer, signed off on a legal opinion authorizing waterboarding, an interrogation technique which simulates drowning, on three detainees -- Khalid Sheikh Mohammed, Abu Zubaydah and Abd al-Rahim al-Nashiri -- in 2002 and 2003. The release of the memos -- and two Senate reports showing that high-level officials were involved in approving such techniques, considered torture by some -- sparked a heated debate on Capitol Hill. Democrats say Bush officials who were involved should be held accountable and that a series of hearings will be held to investigate the issue. Some Republicans strongly opposed the release of the memos and said the administration should look forward, not backward. The president has indicated he does not believe that those who were simply following orders given to them by senior officials should be prosecuted. However, he left the door open for possible charges against high-level officials. Attorney General Eric Holder echoed the same sentiment, saying that while he "will not permit the criminalization of policy differences," he is responsible as attorney general to enforce the law. For President Obama, words do matter. The administration will no longer be employing the phrases "war on terror" and "enemy combatants," words that defined the Bush administration's foreign policy after the events of Sept. 11, 2001. The announcement that the term "war on terror" won't be used was made by Secretary of State Hillary Clinton just days before President Obama embarked on his first overseas trip to Europe as U.S. president. "The administration has stopped using the phrase and I think that speaks for itself," Clinton said at an international conference on Afghanistan in Amsterdam. The retiring of the term "enemy combatant" also signals a deliberate shift in policy from the previous administration. "As we work toward developing a new policy to govern detainees, it is essential that we operate in a manner that strengthens our national security, is consistent with our values, and is governed by law," Holder said in a statement in March. "The change we've made today meets each of those standards and will make our nation stronger." On his European trip, Obama repeatedly stressed the difference in his policies from those of his predecessor, expressing his regret for Bush policies. At a town hall meting in Strasbourg, France, Obama told the audience: "We've allowed our alliance to drift. I know that there have been honest disagreements over policy, but we also know that there's something more that has crept into our relationship. So I've come to Europe this week to renew our partnership, one in which America listens and learns from our friends and allies." In his first major step in office, Obama signed an executive order closing down the detainee center at the Guantanamo Bay military facility within a year, and established new guidelines on interrogation methods and the treatment of detainees. In another order signed on the same day, Obama mandated all U.S. interrogators in all agencies to adhere to rules in the Army Field Manual, and the president also called for the shut down of CIA detention centers around the world. The orders call for some detainees to be transferred to U.S. prisons, and others to be transferred overseas. The move marked a sharp departure from Bush-era policies and even provoked criticism from Cheney. But Obama, who reiterated during his campaign the idea that the U.S. does not torture -- called Gitmo a "sad chapter in American history" -- and pledged to shutter it as soon as he could, said the country will deal with terrorism "in a manner that is consistent with our values and our ideals." The Pentagon will turn over 44 photos to the American Civil Liberties Union (ACLU), showing abuse of prisoners in Afghanistan and Iraq. The ACLU took the matter to court when the Bush administration said releasing the photos would violate U.S. obligations toward detainees and could prompt outrage and possibly even attacks against the U.S. But the courts disagreed. The Obama administration could have taken the case to the Supreme Court, but instead decided to hand over the pictures. Since the ACLU filed the lawsuit, they will be the first recipients of the photos. The Pentagon lifted the controversial ban on the photographing of flag-draped caskets of America's war dead, reversing the policy that was implemented by George Bush in 2001. Critics say the ban hid the human cost of war and soon after taking over the White House, Obama asked Secretary of Defense Robert Gates to review its impact on military families. 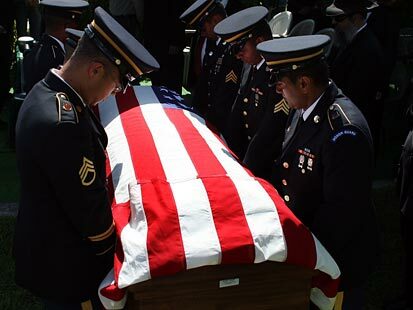 Under the new rules, families will decide whether to grant media access to caskets of the dead and the military will suggest guidelines for how much coverage to allow. In rescinding the Bush-era policy on Feb. 26, Gates said he was "never comfortable" with the ban to begin with. Partially fulfilling one of his major campaign promises that probably is one of the sharpest reversals from Bush's policy, Obama ordered the drawdown of troops in Iraq at a late February pit stop in Camp Lejune, N.C. "Let me say this as plainly as I can: by Aug. 31, 2010, our combat mission in Iraq will end," the president said on Feb. 27 in a gathering of troops. During his presidential run, Obama promised to withdraw all U.S. combat troops within 16 months of taking office, but under his current plan, the number of 142,000 troops will be drawn down to 35,000-50,000 within 19 months. At the same time, Obama has committed more troops to Afghanistan, fulfilling the request from generals who want to step up the effort against a rising insurgency. Iraq, unsurprisingly, is one of the new administration's top agenda items. The president met with his close advisers on his first day in office to discuss the drawdown. But the Obama administration hasn't completely torn itself away from Bush's policies. The president's Justice Department is defending former Bush official John Yoo, so-called author of the "torture memo," and who is being sued by Jose Padilla, a suspected terrorist who says Yoo's memos on interrogation policies led to his detention and torture. "This administration has made no secret of the fact that it disagrees with the previous administration's approach to many legal issues in the national security arena," DOJ spokesman Matthew Miller said in a written statement defending the decision. "Nevertheless, the Department of Justice generally defends employees and former employees in lawsuits that are filed in connection to their official duties." The Obama administration also continues to uphold -- so far -- the controversial Bush-era "state secrets" argument. Holder said the few cases he has reviewed so far since taking over the reins at the DOJ show that the "invocation of the doctrine was correct." The "state secrets" defense has been used in cases of rendition and torture and the first time Obama was put to test was when detainees tried to sue a Boeing subsidiary for its alleged participation in the CIA's rendition program. Holder argued in federal court in California that the case should be dismissed based on a "state secrets privilege" and because it would cause valuable national security issues to be revealed in open court. The ACLU lashed back at the administration, saying the president is not living up to his campaign promises and offers "more of the same." The Obama administration was tested again when the National Security Agency's wiretapping program came under scrutiny and once again officials invoked the same defense. 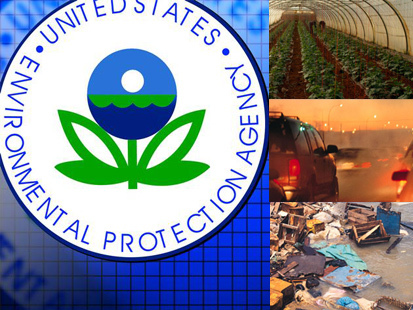 The Environmental Protection Agency's finding that greenhouse gases are hazardous to public health and welfare gives Obama the authority to invoke stricter emission controls and regulations under the 40-year-old Clean Air Act. Obama has indicated he would prefer Congress to advance the cap-and-trade regulation. Nevertheless, the EPA's step signals the beginning of a possible radical shift in environmental and climate change policy. Starting from his campaign, the president has said he wants to focus on creating green jobs and a more comprehensive energy and environmental policy. While focusing on energy efficient cars and buildings, he has reiterated that he wants to reduce dependence on foreign oil. The president authorized full scientific reviews of projects that might harm endangered wildlife and plants. Obama's memorandum overrides the Bush administration regulation that limits scientific reviews of projects that could harm endangered species. While signing the act on March 3, Obama chided Bush's policies, saying that "For more than three decades, the Endangered Species Act has successfully protected our nation's most threatened wildlife. We should be looking for ways to improve it, not weaken it." The Obama team had promised the change during the presidential campaign, a move welcomed by environmentalists who say the government's protection does not go far enough. Obama started a process and asked the EPA to look at allowing California and 13 other states the right to set their own, stricter, automobile emissions and fuel efficiency standards, a plea by the states that was rejected by the Bush administration. This was just one of the first steps in altering the environment policy from that of the Bush administration. Obama also directed Transportation Secretary Ray LaHood, to finalize the fuel efficiency standards for cars for 2011 and to make recommendations for beyond that year, an action expected to lead to stricter fuel efficiency standards. The president is expected to continue taking further such steps away from his predecessor's policies. The Obama administration is also seeking tougher regulations on mercury emissions and changing the way the Bush team approached the topic. Interior Secretary Ken Salazar announced in February that the government would withdraw oil and gas leases that were offered on 77 parcels of public land for drilling near national parks in Utah by the Bush administration and that are currently in court. "In its last weeks in office, the Bush administration rushed ahead to sell oil and gas leases at the doorstep of some of our nation's most treasured landscapes in Utah," Salazar said. "We need to responsibly develop our oil and gas supplies to help us reduce our dependence on foreign oil, but we must do so in a thoughtful and balanced way that allows us to protect our signature landscapes and cultural resources in places like Arches National Park, Canyonlands National Parks, Dinosaur National Monument, and Nine Mile Canyon, for future generations." The leases are for a total of 103,225 acres. Salazar also scrapped leases for oil-shale development on federal land in Colorado and Wyoming. Salazar has also rejected a Bush plan to open areas off the Atlantic and Pacific coasts to oil drilling, criticizing the previous administration for "foot dragging." Obama's reversals of his predecessor's policies are a sign that the new administration is trying to make good on its campaign promise of change. Just Monday, Obama wrote in a memo to heads of executive branch departments and agencies that he will sign presidential statements, but do so more sparingly than Bush, who came under fire for using hundreds of these statements to tell government officials to ignore parts of the law that it believed were unconstitutional restrictions on the president's executive power, most notably on national security issues. "I will issue signing statements to address constitutional concerns only when it is appropriate to do so as a means of discharging my constitutional responsibilities," he wrote. Only ten days in office, Obama signed three executive orders that he said would "level the playing field" for labor unions and that would make unions easy to organize. Obama reversed a Bush order requiring federal contractors to post notice that workers can limit financial support of unions serving as their only bargaining representatives. Additionally, in undoing Bush's policies, Obama ordered that federal contractors offer jobs to current workers when contracts change and that federal contractors be prevented from being reimbursed for expenses meant to influence workers deciding whether to form a union and engage in collective bargaining. Obama's first law signed was also labor-related. The Equal Pay for Equal Work Bill was signed into law Jan. 29 and sought to end pay disparities between men and women. The president relaxed travel, commerce and mail restrictions on Cuba, allowing American-Cuban families unlimited visits to the island and no restrictions on the amount of remittances they can send back. The White House also plans to expand telecommunications networks that link the United States and Cuba, as well as export of humanitarian items. President Bush tightened restrictions on Cuba in 2004, which been under U.S. embargo since 1962. Leaders of Latin American countries are pushing the Obama administration to do away with the sanctions altogether. For his part, Obama has said he wants to open a dialogue with Cuba, but outlined a series of steps he first wants the government to take, including the release of prisoners. "I know there is a longer journey that must be traveled in overcoming decades of mistrust, but there are critical steps we can take toward a new day," the president said while attending the Summit of the Americas in April.